The Cholmondeley Pageant of Power (CPOP) is one of the most-loved, family-friendly, motorsport events in the UK. This year, the ninth staging of the Cheshire-based event, brings a new name and a host of other exciting changes. Cholmondeley Power and Speed 2016 – What’s on? 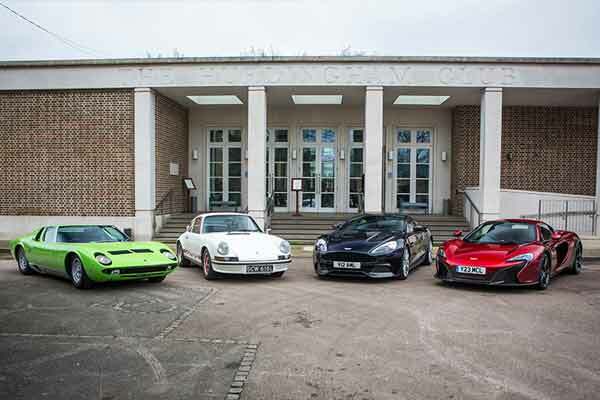 For 2016, visitors will be invited to celebrate supercars past, present and future, such as the 1969 Lamborghini Miura, 1973 Porsche 911 2.7 RS Touring, 2015 Aston Martin Vanquish and 2016 McLaren 650S. This year Cholmondeley Power and Speed 2016 celebrates super cars of the past, present and future. Cholmondeley Power and Speed 2016 will offer stunning car displays to thrilling on track action, attendees will be able to get up close to with some of the most powerful, eye-catching and revered supercars and bikes in the world. Taking place on the Friday of the event, an all-new element of Cholmondeley Power and Speed will be the inaugural Motorshow Live. This gives car manufacturers the opportunity to demonstrate their latest models on track while enabling guests to test drive the cars. Additional features and content on land, air and water will be announced over the coming weeks. Watch highlights from the previous CPOP events. Carphile.co.uk are pleased to be able to offer readers a 15% discount on tickets for Cholmondeley Pageant of Speed 2016. Simply type in the code CPASCARPH when booking your tickets on this page (valid until 9th June 2016) This offer has now ended, sorry! Please bookmark this page, Carphile.co.uk will update this page as further information becomes available.